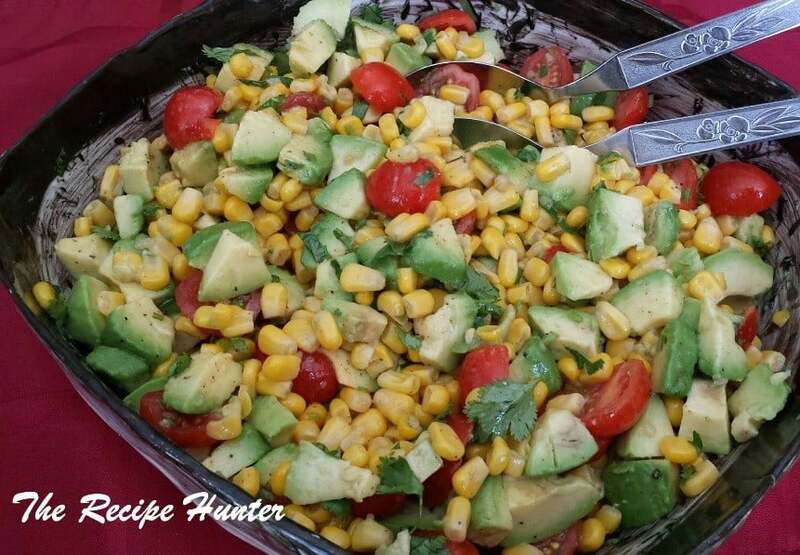 Combine the sliced tomatoes, avocado, cilantro and grilled corn and honey lime dressing and mix gently so everything is evenly coated. Be careful not to mash the avocados. Let the salad sit for 10-15 minutes to let flavors mingle. Enjoy. I made this one, although with a twist, by just adjusting the ingredients a bit.